Are you planning a celebration and need something different? We get it and we got it! 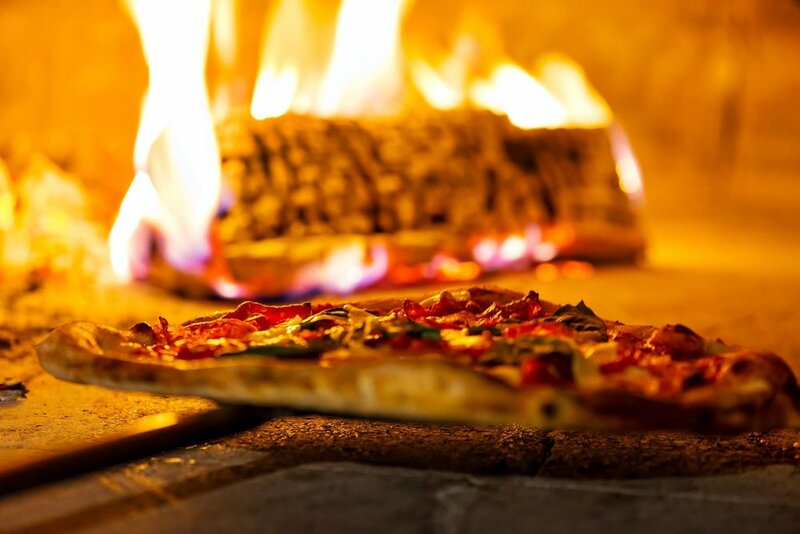 Book Isola's mobile pizza oven and wow your guests with our award-winning Neapolitan-style pizza MADE TO ORDER! They will love the unique and delicious pizzas, and it's the perfect backdrop for your birthday party, corporate event, engagement party or any other celebration you can think of. ASK ABOUT OUR BEVERAGE MENU! Choice of 3 pizzas from catering menu, unlimited. Choice of Arugula or Mista Salad, unlimited. Minimum of $1250 for week days, $1500 for weekends (fri sat sun). *THE DETAILS: Anything over 2 hours of serving is $7 per person per hour charge. 20% service charge on total bill. Additional chefs and servers $200 each. Travel fees may apply. 50% deposit required at time of booking. T-TH 11 A.M. – 9:30 P.M.
F-SA 11 A.M. – 10:30 P.M.
SU 11 A.M. – 9 P.M.
T-TH 11:30 A.M. – 9 P.M.
F-SA 11:30 A.M. – 10 P.M.